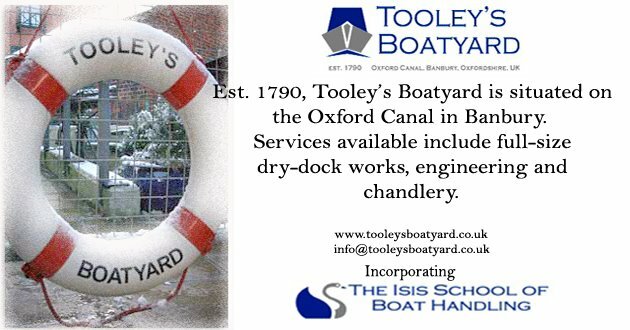 Tooley's Boatyard, Banbury: Penny's post! Hi, my name is Penny, and I have been working here at Tooley's since March '08. 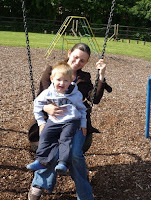 I work part-time due to being the proud mum of baby Liam (although not so much of a baby now!). Prior to joining the boatyard, I had been working as the Manager of the Cafe Quay, a canal-side eaterie which Tooley's also used to run. Along with helping in the Chandlery and in the office, I recently completed the Inland Helmsman Certificate with our instructor Martin, so hopefully I will soon be able to get out from behind the desk and maybe start running some of the weekly boat trips! I also keep track of all the different courses we run here, ranging from Blacksmithing to rope-work and traditional 'Roses' & Castles' painting. Oh, and if you ever want a rope splicing, I'm a demon with the 'fid' (no complicated ones please! ).